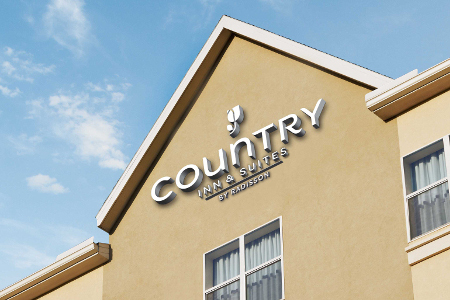 Pull off I-55 and settle into a quiet hotel room or suite at the Country Inn & Suites® by Radisson, Byram/Jackson South, MS. Nestled in the suburbs of Byram, our hotel provides a peaceful sanctuary only 15 minutes from Jackson and popular spots like the Mississippi State Capitol and the Old Capitol Museum. Prefer more action-packed adventures? Catch a race at Jackson Motor Speedway or cheer on the Jackson State Tigers at Mississippi Veterans Memorial Stadium. If you’re here on business, our convenient location offers proximity to the Jackson Convention Complex and local businesses like Blue Bell Creameries, Weyerhaeuser Company and International Paper. Planning a romantic getaway with a special loved one? 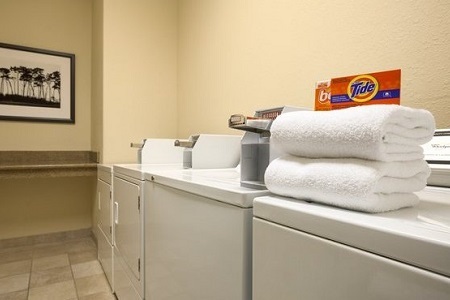 Reserve our Whirlpool Room, which includes all standard amenities plus an in-room whirlpool for two. 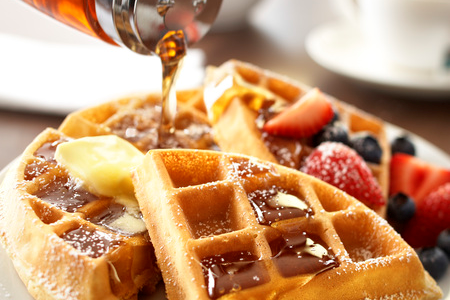 Fuel your Jackson Motor Speedway adventures with our hotel’s free, hot breakfast. Fill a plate with hearty favorites like waffles and eggs, or keep things on the lighter side with a bowl of cereal and a side of yogurt or coffee. When you need to refuel later in the day, stop by a nearby restaurant like Monte’s Steak & Seafood, where you can dine on Creole-inspired dishes like seafood gumbo, stuffed catfish and bread pudding. Don’t miss the voodoo ribeye, a mouthwatering portion of meat seasoned with Cajun spices. Situated just 15 minutes outside of the capital city, our hotel places guests a short car ride away from events at the Jackson Convention Complex and family visits to The Jackson Zoo. In town visiting a student? Travel just nine miles to reach the Jackson State University campus. Mississippi State Capitol – Drive 10 miles north into Jackson to see the State Capitol building. Tour the scenic magnolia-lined grounds, or stroll through the Hall of Governors, where portraits of prominent state governors are displayed on the walls. Jackson Motor Speedway – Fulfill your need for speed at this impressive racetrack, located less than two miles from the hotel. Settle in with a hot dog and popcorn as you watch thrilling races like the All American 60, the COMP Cams Super Dirt Series and the United States Modified Touring Series. Swinging Bridge – Take a leisurely stroll to this popular footbridge that offers memorable views of the Pearl River. The bridge was originally built in 1905 and got its name for the “swinging” motion that ensued as cars drove over the wooden boards. The original structure was renovated in 2015, and today the bridge serves as a popular spot for romantics to hang love locks and take pictures.